Double Driver for Windows 10 - A useful application that will help you learn about all the drivers installed on your computer. Scans the system, displaying on completion of the process a list of software that ensures the functioning of the hardware components. Thanks to a simple, understandable graphical environment, it is easy to use this software. Contains in its arsenal tool for creating backup copies. Stored software products are conveniently sorted into folders named according to the device for which they are intended. In addition, the user can independently define the criteria for backup. 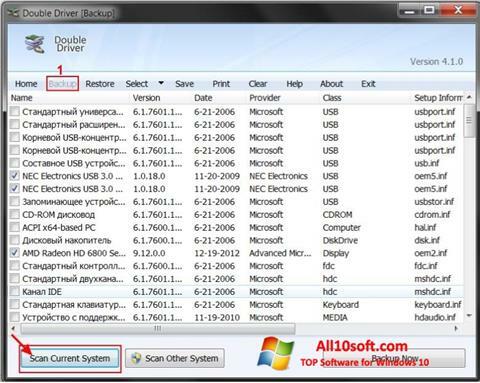 You can free download Double Driver official latest version for Windows 10 in English.